Today, non-renewable fossil fuels not only provide the raw material from which plastics are made, they are also the fuel burned to power the manufacturing process, producing climate-warming carbon dioxide (CO2)—the International Energy Agency estimates the production of the main precursors for plastics is responsible for 1.4 per cent of global CO2 emissions. A team led by University of Toronto Professor Ted Sargent is turning this process on its head. 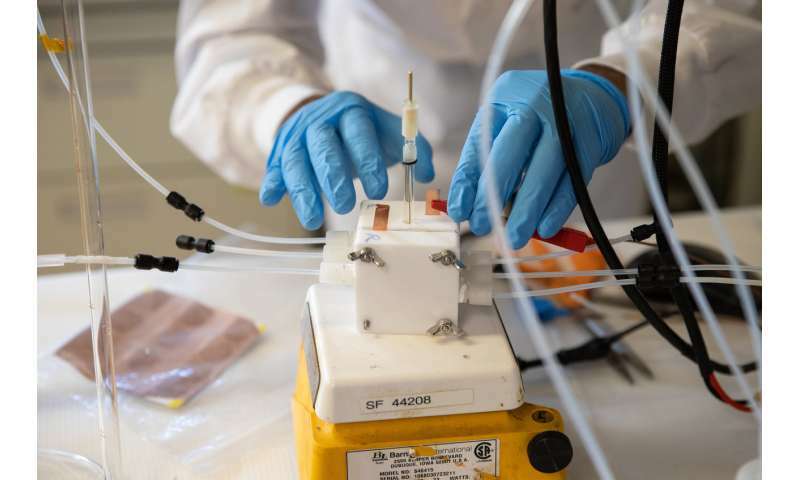 They envision capturing CO2 produced by other industrial process and using renewable electricity—such as solar power—to transform it into ethylene. Ethylene is a common industrial chemical that is a precursor to many plastics, such as those used in grocery bags. The system addresses a key challenge associated with carbon capture. While technology exists to filter and extract CO2 from flue gases, the substance currently has little economic value that can offset the cost of capturing it—it's a money-losing proposition. 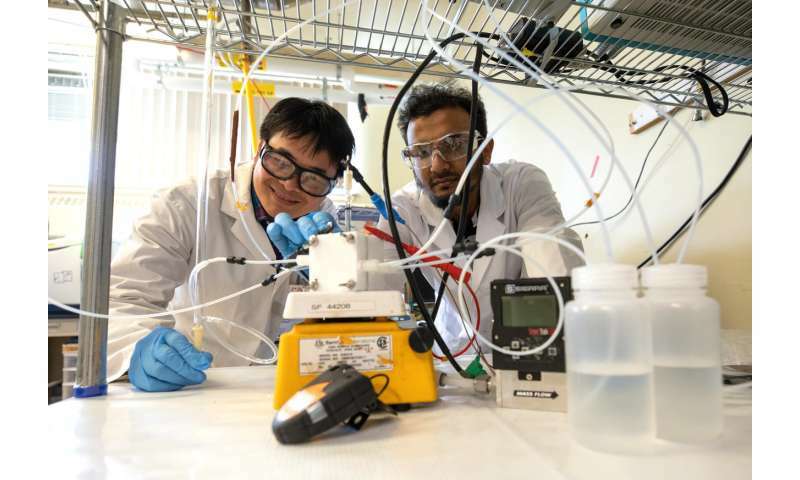 By transforming this carbon into a commercially valuable product like ethylene, the team aims to increase the incentives for companies to invest in carbon capture technology. 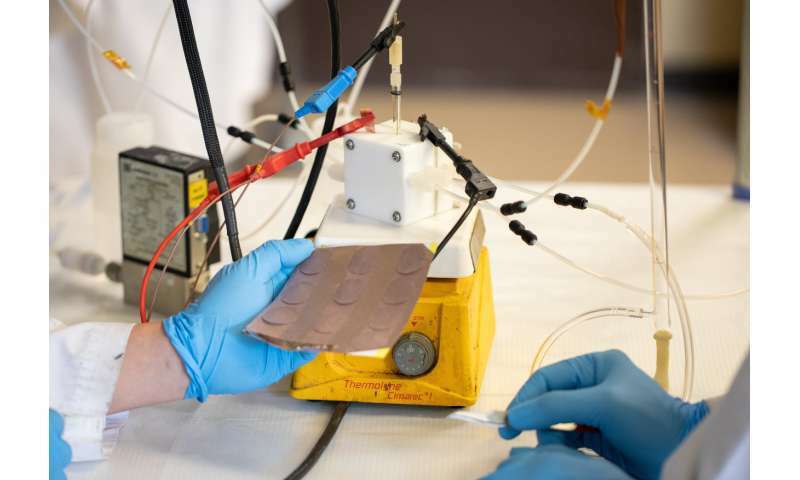 Next, the team addressed stability, which has long been a challenge with this type of copper-based catalyst. Theoretical modelling shows that basic conditions—that is, high pH levels—are ideal for catalyzing CO2 to ethylene. But under these conditions, most catalysts, and their supports, break down after less than 10 hours.